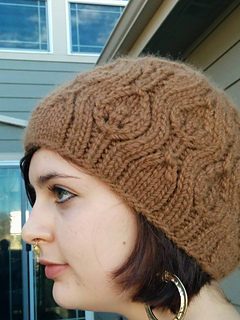 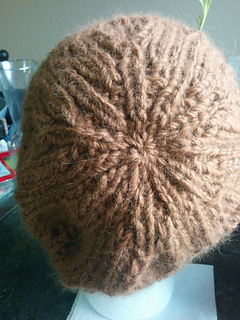 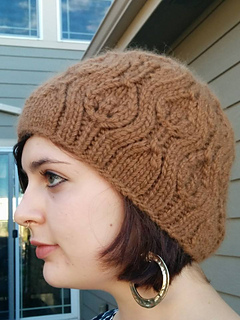 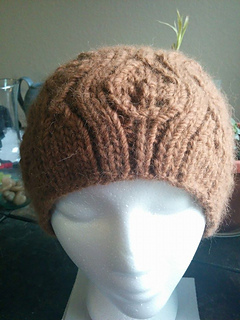 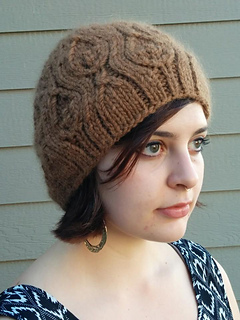 This beautiful hat is somewhere between a slouch hat and a fitted beanie, it has a bit more body than a beanie, but it isn’t as large as a full slouchy style hat. 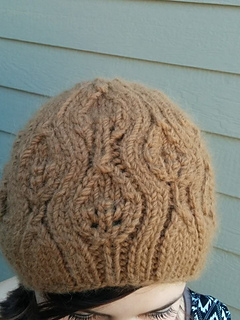 The cottonwoods slightly heart shaped leaves are rendered in an easy to remember lace pattern, done in a chunky weight yarn, this is both a beautiful and quick project that looks harder than it really is! 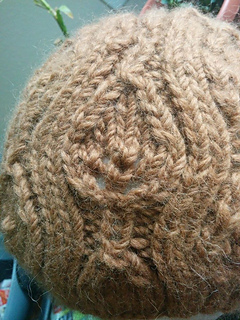 Skills required include knit, purl, yarn over, knit front/back/front increases, knit 2 together, slip slip knit. 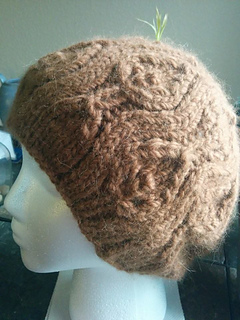 Links to youtube video tutorials included in pattern for special stitches, recommended for advanced beginner knitters and above.